Short Stories. Trans. Goldie Morgentaler. Toronto: Cormorant Books, 2004. Winner of the 2006 Fenia and Yaakov Leviant Memorial Prize for Yiddish Studies, a prize administered by the Modern Languages Association. 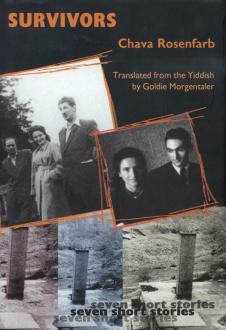 Winner of a 2005 Helen and Stan Vine Canadian Jewish Book Award for Yiddish and Yiddish translation.